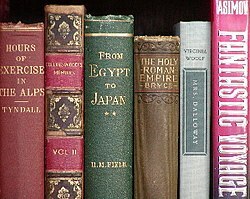 Book collecting is the collecting of books, including seeking, locating, acquiring, organizing, cataloging, displaying, storing, and maintaining whatever books are of interest to a given collector. The love of books is bibliophilia, and someone who loves to read, admire, and collect books is called a bibliophile. Book collecting can be easy and inexpensive: there are millions of new and used books, and thousands of bookstores, including online booksellers such as Abebooks, Alibris, Amazon, and Biblio.com. Wealthy book collectors pursue great rarities such as the Gutenberg Bible, and Shakespeare's First Folio, books which are both famous and extremely valuable. Collectors of lesser means may collect works by a favorite author, first editions of modern authors, or books on a given subject. Book prices generally depend on the demand for a given edition, the number of copies available, and a book's condition. Some collectors join associations such as The Fine Press Book Association, which is aimed at collectors of modern fine printing. The Private Libraries Association also covers modern fine printing, but is much more general in its outlook. In the ancient world, papyri and scrolls (the precursors of the book in codex form) were collected by both institutions and private individuals. In surviving accounts there are references to bibliophile book collectors in that era. Socrates was reported by the historian Xenophon to have criticized a rich young man seeking to outdo his friends by collecting the works of famous poets and philosophers. Seneca the Younger deplored ostentatious book collecting, asking: "What is the use of possessing numberless books and libraries, whose titles their owner can hardly read through in a lifetime?" In 1344 the English bishop Richard de Bury wrote The Philobiblon in which he praised the love and appreciation of books. Philip the Good brought together a collection of "about six hundred manuscripts in his possession at the height of his reign", which was the largest private collection of his day. With the advent of the printing press invented by Johannes Gutenberg in the 15th century, which resulted in cheaper and more abundant books, and with the contemporaneous economic, social and political changes of the Renaissance, book collecting received a great impetus. Jean Grolier, the Treasurer-General of France, was an important bibliophile and book collector of this period. Grolier owned a library of 3,000 volumes and was known for his love of the Latin classics and of richly decorated bookbindings. He was a patron of the Aldine Press that had been founded by the prominent Renaissance printer, typographer, editor and publisher, Aldus Manutius the Elder. During the Reformation many monastic libraries were broken up, and their contents often destroyed. There was an English antiquarian reaction to Henry VIII's dissolution of the monasteries. The commissioners of Edward VI plundered and stripped university, college, and monastic libraries; so to save books from being destroyed, those who could, such as Archbishop Matthew Parker and Sir Robert Cotton, began to collect them. By the late 17th century, millions of printed books were in circulation and auctions devoted to books began to occur and printed catalogues devoted to books began to be issued by book dealers and by auction houses in Europe and America, leading to a growing popularity of book collecting with the increasingly literate public. With the advent of the Romantic era in the 18th century and its focus on the past, book collectors began to show an interest in old books, antiquarian editions and manuscripts. This new emphasis was nourished by the flood of old books onto the market following the dissolution of monastic and aristocratic libraries during the French Revolution and the Napoleonic Wars. The British Whig politician George John, 2nd Earl Spencer (1758-1834) collected tens of thousands of volumes. Strengths of his collection included first editions of the classics; works produced by important early presses, and notably an almost complete collection of Aldine editions; and many Bibles. In 1812 he founded the bibliophilic Roxburghe Club. Sir Thomas Phillipps (1792-1872) collected 40,000 printed books and 60,000 manuscripts. He was "the greatest collector of manuscript material the world has ever known". His zealous collecting efforts, which were termed bibliomania by Thomas Frognall Dibdin, resulted in the preservation of much historical material, particularly manuscripts, that would otherwise have been destroyed. The increasingly wealthy United States during the 19th century saw the appearance of "titan" book collectors such as the railroad magnate Henry Huntington and the financier and banker J. Pierpont Morgan. There are millions of books, so collectors necessarily specialize in one or more genres or subgenres of literature. A reader of fiction, who enjoys Westerns, might decide to collect first editions of Zane Grey's novels. A lover of modern English poetry might collect the works of W H Auden. A Californian who prefers non-fiction might look for books about the history of the San Francisco Bay Area. Bindings and Book design. The Grolier Club has since 1884 been interested in the "... study of the arts pertaining to the production of books...". Special editions, similar but not always the same as limited editions. Related collecting interests include collecting bookplates, autographs, and ephemera. Book prices generally depend on the demand for a given book, the number of copies available for purchase, and the condition of a given copy. As with other collectibles, prices rise and fall with the popularity of a given author, title, or subject. Because of the huge number of books for sale, there is no single comprehensive price guide for collectible books. The prices of the copies listed for sale at the online bookseller sites provide some indication of their current market values. As with other collectibles, the value of a book ultimately depends on its physical condition. Years of handling, moving, and storage take their toll on the dust jacket, cover, pages, and binding. Books are subject to damage from sunlight, moisture, and insects. Acid from the papermaking process can cause the pages to develop brown spots, called foxing; gradually turn brown, called tanning; and ultimately crumble. Common defects include general wear; jacket/cover edge wear, scratches, and tears; the previous owner's written name, Bookplate, or label; soil and stains; dogeared pages; underlining, highlighting, and marginalia; water damage; torn hinges, endpapers and pages; and pages, illustrations, or whole signatures free of the binding, or missing entirely. A book in good condition should be a rectangular solid when at rest, whether upright or on its back, with the covers at right angles to the spine. If a book is out of square, usually from resting crooked on a shelf, or leans to the right or left when on its back, it is cocked, or shelf-cocked. If the covers bend in or flare out, usually from rapid humidity changes, a book is bowed (bent like a drawn bow). Thick hardbound books also tend to have their pages sag downward in the middle even if they are sitting level on a shelf. New books are readily available from bookstores and online. Many bookstores specialize in out-of-print, used, antiquarian, rare and collectible books. Online booksellers, including Abebooks, Alibris, Amazon, and Biblio, encourage other stores and individuals to sell books through their websites, and charge a commission. Antique and collectible stores may have a few books for sale. Major auction houses sell quality collectible books, and local auction houses may sell books by the carton. Thrift shops and second-hand stores commonly have book sections. Other sources include estate, yard, garage, or rummage sales; and charity fund-raisers. Antiquarian book collecting may be roughly defined as an interest in books printed prior to 1900 and can encompass interest in 19th, 18th, 17th, 16th, and 15th-century books. Antiquarian book collectors are not exclusively interested in first editions and first printings, although they can be. European books created before 1455 are all hand-written and are therefore one-of-a-kind historical artifacts in which the idea of "edition" and "printing" is irrelevant. There is also an interest among antiquarians for books beautifully made with fine bindings and high quality paper. 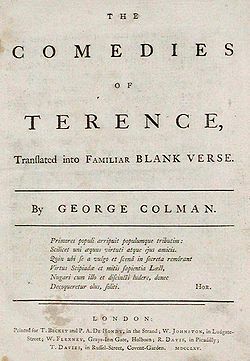 For many books printed before about 1770, the first edition is not always obtainable, either because of price and/or availability. Later editions/printings from an era of interest are still often desirable to the antiquarian collector as they are also artifacts. 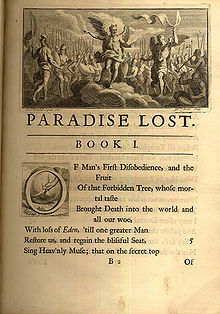 The beginning of Paradise Lost from a 1720 illustrated edition. Not a first edition but desirable among antiquarians. For example, a first edition of Paradise Lost (1667) by John Milton can fetch equivalent to a down payment on a house. However, the first illustrated folio edition of 1688, technically a later edition, is worth a fraction of the first edition, but still fetches in the thousands of dollars as an illustrated book from the era in which Milton lived. There were many editions of Alexander Pope's translation of The Iliad and The Odyssey. The first edition of 1715-1720 is worth a small fortune whereas slightly later 18th-century editions are a lot less expensive but still garner premium prices. The John Ogilby 17th-century translations of Homer's The Iliad and The Odyssey garner hefty prices, but not as much as the first edition of the Pope translation. This may be in part due to a significant number of copies of Ogilby's first edition probably perished in the Great Fire of London of 1666. The first English movable-type printer was Caxton in the late 15th century. Editions of his books from the 15th century are very rare. Occasionally, 16th-century editions similar to Caxton's books appear among antiquarian book dealers and auctions, often fetching very high prices. The last Shakespeare First Folio of 1623 (first edition of the collected works of William Shakespeare) garnered a record-breaking 5.5 million in 2006. Later 17th-century folios of William Shakespeare's works can still fetch about the price of a small house but are more readily available and relatively obtainable, whereas almost all extant copies of the First Folio are owned by libraries, museums or universities and thus are unlikely to appear on the market. For the antiquarian collector, how a particular book's production fits into a larger historical context can be as important as the edition, even if it may not be a first edition. Also of interest are books previously owned by famous persons, or personages of high stature, such as someone from royalty or the nobility. Tracing the history of an antiquarian book's possession history, referred to as "provenance", can markedly affect the value of a copy, even if it is not desirable per se. For example, a copy of a less-important 18th-century book known to have been owned by Voltaire would achieve a value many times its stand-alone market value, simply because it was once in Voltaire's possession. Previous owners of books often signed their copies or labelled them with Bookplates, and it is often not difficult to identify a prominent previous owner if the provenance is well documented. Books owned by well-known individuals that also have a connection with the author (often as a gift from the author with a written dedication to the recipient) are known as Association copies. The American School Library is an example of a very rare multi-volume boxed set with works by many popular or famous authors. Apparently the only extant full set is owned by the Smithsonian Institution's National Museum of American History. The history of book collecting in China dates back over two millennia. An important effort to collect books in China was made during the early Han Dynasty by the government, as many important books were burned during the Qin Dynasty. From then on, book collecting began to flourish in China, particularly after the invention of block printing during the early Tang Dynasty, with both imperial and private collections blooming throughout the country. However, the systematic study of book collecting began only during the Qing Dynasty. Virtual book collecting can be described as collecting books in a digital format (virtually) on a computer or other electronic device. A bibliophile may acquire ebooks by downloading them or copying from borrowed media, such as CDs and DVDs. However, this may violate copyright law, depending on the license under which the ebook was released. Ebooks acquired from Project Gutenberg and many similar free collections cause no violation as they have gone out of copyright, have been released under a Creative Commons license, or else are in the public domain. ^ Seneca, Aubrey Stewart, tr., Of Peace of Mind, London: George Bell and Sons, 1900 (Bohn's Classical Library Edition), Book X ; republished on en.wikisource.org. Retrieved 14 November 2017. Of Peace of Mind is a translation of Seneca's De Tranquillitate Animi. ^ Martin, S. S. (1986). Richard D'Aungerville de Bury, 1287-1345 (England, Bishop of Durham). Emory University. ProQuest Dissertations and Theses, p. 24. ^ Leah Dobrinska, Philip the Good: Early Book Collector, Patron of the Arts, bookstellyouwhy.com. Retrieved 15 November 2017. ^ Gabriel Austin, The Library of Jean Grolier: A Preliminary Catalogue, New York: The Grolier Club, 1971, pp. 1-4. ^ Jeremy Norman, The First Book Catalogue Published in America (1693), historyofinformation.com. Retrieved on 26 November 2017. ^ Owen Chadwick, "The Acton Library", in: Peter Fox, ed., Cambridge University Library: The Great Collections, Cambridge University Press, 1998, p. 142. ^ William Younger Fletcher, English Book Collectors, London: Kegan Paul, Trench, Trubner and Company, 1902 (The English Bookman's Library), pp. 309-312. ^ Phillipps, Thomas (DNB00), Dictionary of National Biography, 1885-1900, Volume 45. Retrieved 12 March 2018. ^ Seymour de Ricci, English Collectors of Books & Manuscripts (1530-1930) and Their Marks of Ownership. The Sandars Lectures 1929-1930, Cambridge University Press, 1930; reprinted Indiana University Press, 1960, p. 119. Retrieved 13 March 2018. ^ Stephen Ferguson, Collecting in 19th Century America, princeton.edu. Retrieved 13 March 2018. ^ "Association Copies". AbeBooks Inc. Retrieved 13 August 2013. ^ "The American School Library". Harper & Brothers. 1839. Retrieved 7 November 2017. ^ Hamel], Michael Olmert ; [introduction by Christopher de (1992). The Smithsonian book of books (1. ed.). Washington, D.C.: Smithsonian Books. ISBN 0-89599-030-X. ^ "Lancashire Evening Post Darren Ashcroft". October 7, 2011. ^ "The Clifton Waller Barrett Library of American Literature". University of Virginia Library. Archived from the original on July 26, 2010. Retrieved April 11, 2010. ^ Basbanes, Nicholas A. (1999). A Gentle Madness: Bibliophiles, Bibliomanes, and the Eternal Passion for Books. New York: Henry Holt. p. 461. Retrieved April 11, 2010. ^ "Houghton Library: History". Harvard College Library. c. 2010. Retrieved April 11, 2010. ^ Reif, Rita (December 21, 1988). "Library of 10,000 Rarities To Be Sold at Sotheby's". NYTimes.com. The New York Times. Retrieved April 11, 2010. Bernard, Philippa, Leo Bernard and Angus O'Neill, eds. Antiquarian Books: A Companion for Booksellers, Librarians and Collectors. Aldershot, Hants., Scolar Press, 1994. Brown, James Duff. The Small Library: A Guide to the Collection and Care of Books. London & New York: Routledge, 1907. Carter, John. ABC for Book Collectors. 8th ed. edited by Nicolas Barker. New Castle, DE: Oak Knoll; London: British Library, 2004 ISBN 0-7123-4822-0 (British Library) ISBN 1-58456-112-2 (Oak Knoll) - a classic, first published in 1952. Carter, John. New Paths in Book-Collecting: Essays by Various Hands. London: Constable & Co.; New York: Charles Scribner's Sons, 1934; reprinted Freeport, N.Y.: Books for Libraries, 1967. Chidley, John. Discovering Book Collecting. Shire Publications, 1982; 2nd ed., 2004. Connolly, Joseph. Collecting Modern First Editions (1977). W. C. Hazlitt: The Book Collector: A general survey of the pursuit and of those who have engaged in it at home and abroad from the earliest period to the present ... . London: J. Grant, 1904 - published over a century ago, but still worth dipping into. Miller, Stephen. Book Collecting: A Guide to Antiquarian and Secondhand Books. Royston, Hertfordshire, Provincial Book Fairs Association, 1994. Quayle, Eric. A Collector's Book of Books. New York: Clarkson N. Potter, Inc., 1971; London: Studio Vista, 1971. Stitz, Charles (editor) (2010). Australian Book Collectors. Bendigo, Victoria: Bread Street Press. ISBN 978-0-646-53340-7. Uden, Grant. Understanding Book-Collecting. Woodbridge, Antique Collectors' Club, 1988. A Gentle Madness: Bibliophiles, Bibliomanes, and the Eternal Passion for Books. New York: Holt, 1999 ISBN 0-8050-6176-2. Patience & Fortitude: A Roving Chronicle of Book People, Book Places, and Book Culture. New York: HarperCollins, 2001 ISBN 0-06-019695-5. Among the Gently Mad: Perspectives and Strategies for the Book Hunter in the 21st Century. New York: Holt, 2002 ISBN 0-8050-5159-7. A Splendor of Letters : The Permanence of Books in an Impermanent World. New York: HarperCollins, 2003 ISBN 0-06-008287-9. Every Book Its Reader : The Power of the Printed Word to Stir the World. New York: HarperCollins, 2005 ISBN 0-06-059323-7. Wikisource has the text of the 1911 Encyclopædia Britannica article Book-Collecting. AbeBooks Feature Archives Articles on rare books and collecting, authors, publishers, interesting characters in literature, and notable anniversaries. The Book Collector Journal founded in 1952, for "bibliophiles, booksellers, librarians and all who are interested in our literary heritage"
Biblionews The Journal of The Book Collectors’ Society of Australia. The Conservation of Books and Documents Ten frequently asked questions, National Library of the Netherlands. Firsts: The Book Collector's Magazine Resource for book collecting, first editions, rare, antiquarian books. Paperback Revolution Essays on paperbacks including Tauchnitz, Albatross, and Penguin Books. Publishing History Includes book series and lists of titles in series.